There is no town that saves the charm of history as well as Bédar does. 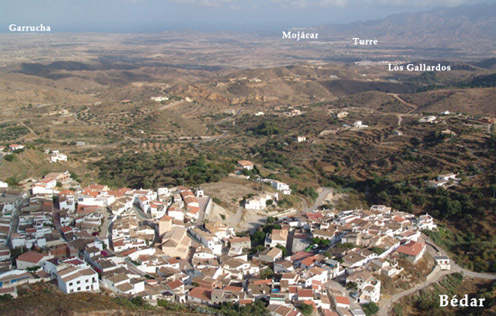 Located in a Sierra that goes by the same name, Bédar manages to keep its Arabic history alive. Let it be the tiled roof, or the narrow streets, limestone houses or the Moorish estates, it is all a part of the Arabic history of Bédar. The people of Bédar are known to be extremely welcoming and the most down to earth people you can ever wish to meet in your life. Bédar is known to house some of the finest cultural events, exhibitions, and shows by a number of different artists, musicians, actors, and intellectuals. All of such aspects contributes towards making Bédar a charming and fascinating town to inhabit. Pretty nearby villages include Serena (going past the Fuente of Bédar, or El Campico on the road to Lubrín). If you are also looking forward to choose this town for residence, you must contact RMB Spain for the most affordable prices.